Has your tasks come to a toll? Can’t you handle everything anymore? Do you need to work and take care of your adult loved one at the same time? 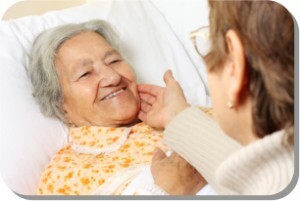 Optimum Care Home Care Services, your non-medical home care in Opitz Boulevard Woodbridge VA would be your best option. You will not just have more time to finish your job, but you can also provide your parents the most exceptional attention they deserve. Is it home care that you need? Probably, the day has come when your senior loved ones cannot carry out their basic daily chores. Maybe, you want to help them yet you are sensitive enough to know that they do not want to bother you and they also want to feel independent still. Possibly, you know how strong and mighty your parents were before and they would not like you to pity them. If you want a companion for your parents for every hour of the day, hiring Optimum Care could be your best solution. Your non-medical home care in Opitz Boulevard Woodbridge VA offers the following services for your adult loved ones. Through a caregiver from non-medical home care in Opitz Boulevard Woodbridge, your parents would not have to deal with too much self-pity. Your caregivers would give them the chance to feel comfortable with them, they know the strategy. Are you concerned of the quality of care we can offer? The quality of care every non-medical home care in Greensboro Drive McLean VA truly varies. Some claim that they are yet they cannot live up to your expectations. Hence, you need to be careful when you hire your adult loved ones’ companions. As the leading non-medical home care in Greensboro Drive McLean VA, Optimum Care has already been proven and tested. We only hire the best staff, caregivers and nurses. Every applicant’s background is checked and investigated to ensure that they are most suitable to take care of your parents. But hiring is not the end of your parents’ companion’s work journey. After they are hired, they would need to undergo rigorous training. Through these trainings, they will have definite plans, strategies and courses of actions in different situations. Optimum care knows how you value your adult loved ones. And we want to impart that fact to our caregivers and nurses. We want them to be capable of carrying out the love you also have for your parents. If you want to know more of our services and staff, feel free to call us anytime at 703-490-8003. We will be happy to answer your queries!